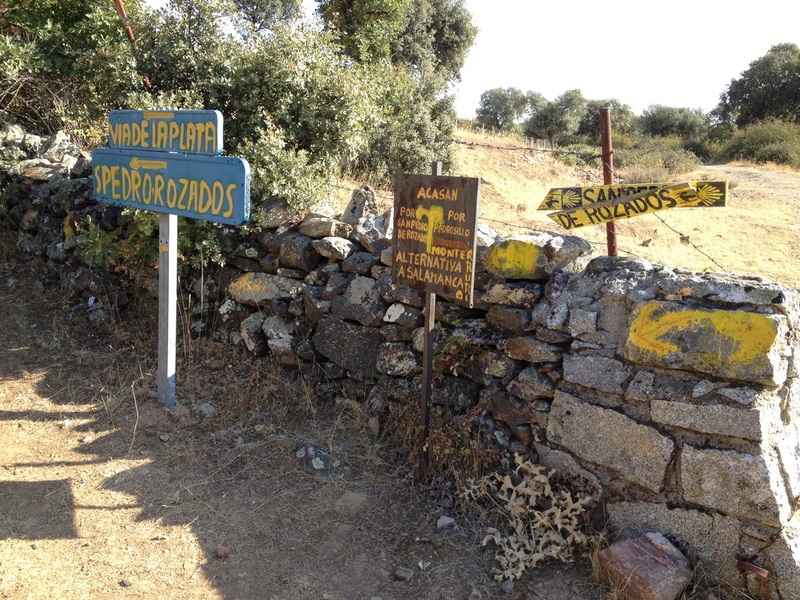 El Camino de Santiago de Compostela, what is it? 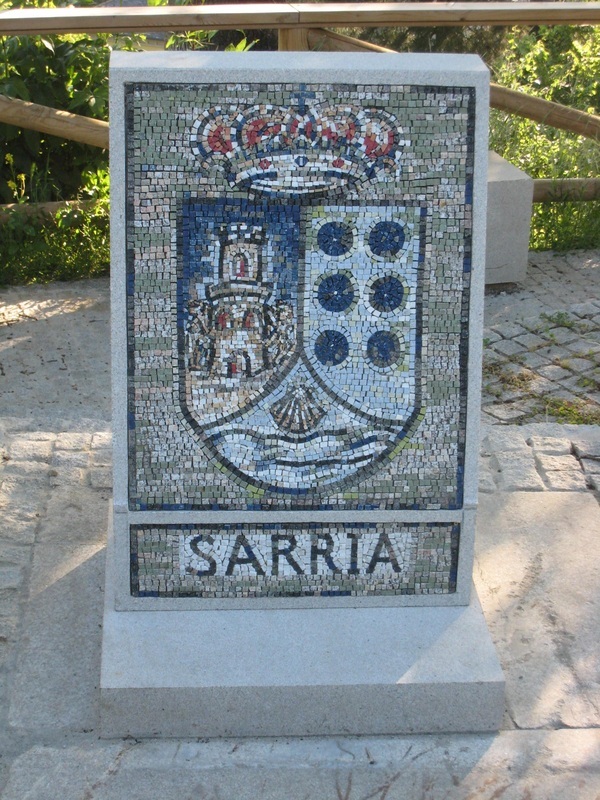 Based on our blog entries made at the time of these earlier Caminos, we will share below our impressions from our walks on the Le Puy Route, the Camino Frances, the Via de la Plata, the Portuguese and the Finisterre Routes, and of our time as volunteer hospitaleros at the municipal albergue in El Burgo Ranero. In 2008, from May 14 to 28, we walked about 100 miles of the Via Podensis, the Le Puy route in France. We flew to Toulouse by way of Paris. Then we took a train to Figeac. We knew little about the Camino when we were planning the trip and decided where we would walk based on the fact that I wanted to practice my French and Russ wanted to walk in Spain. Our compromise was to do some of each. We picked Figeac as a starting point in France because it was easier to get to than Le Puy, or so we thought at the time. Follow our walk via our blog entries. In 2015, from May 13 to June 1, we walked about 200 miles on the Le Puy route and the Camino Francés. We began in Moissac, where we had stopped in 2008. We walked to St. Jean Pied de Port, over the Pyrenees on the Napoléon Route, and on to Pamplona. In 2017, we returned to do the first section, Le Puy-en-Velay to Conques. We didn't have tiome to go on to Figeac where we took our first steps in 2008. Neverthelss, we proclaim that we had walked "the whole thing." We walked parts of the Camino Frances (the French Route) in Spain in each of four years. The first year, 2008, we walked the beginning. The second, 2009, we walked the end. The third, 2011, we walked the middle. And in 2013, we walked from Astorga to Santiago with our daughter and her husband on their first Camino. We have arranged the posts in geographical order, rather than the chronological order. Follow our walk via our blog entries. 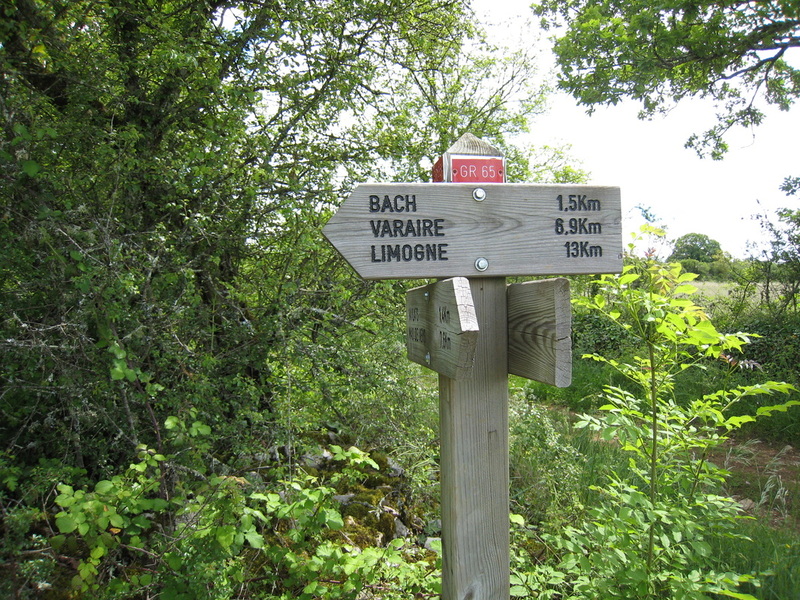 Our intention in 2012 was to return to France and walk the early parts of the Le Puy Route. The day before our departure, Peg realized that her passport would expire in fewer than the required 90 days after arriving in France. We cancelled the trip less than 24 hours before departure. New passport in hand by September, we were ready to try again. But the Le Puy Route no longer beckoned. We felt as if we'd already done it, given all the preparations for the cancelled May trip. We decided instead to try a section of the Via de la Plata. Follow our walk via our blog entires. 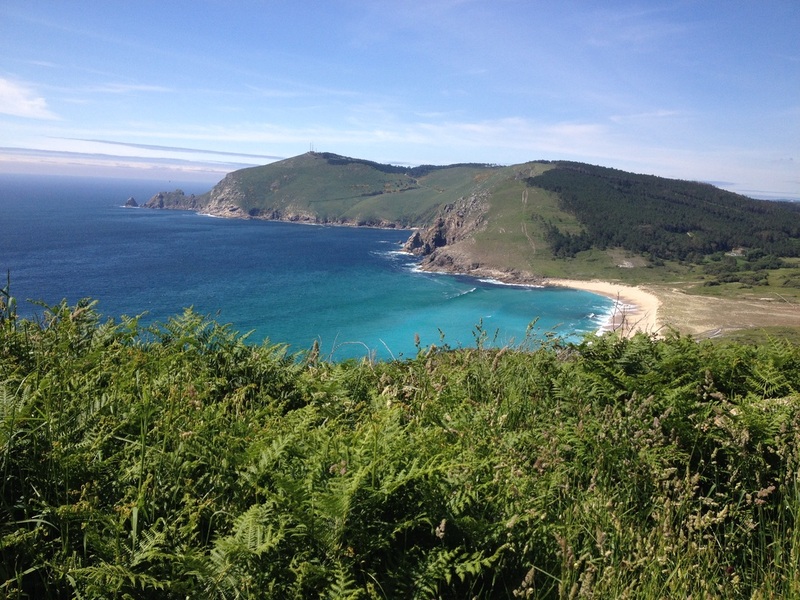 In 2014, we walked about 175 miles on the Portuguese Route and then the Finisterre Route. We flew to Lisbon on May 12/13, took a train to Porto on May 14 and spent the 15th exploring there. On the 16th, we took a metro to the northern edge of Porto, and walked from there to Santiago in 14 days, including a rest day in Pontevedra. 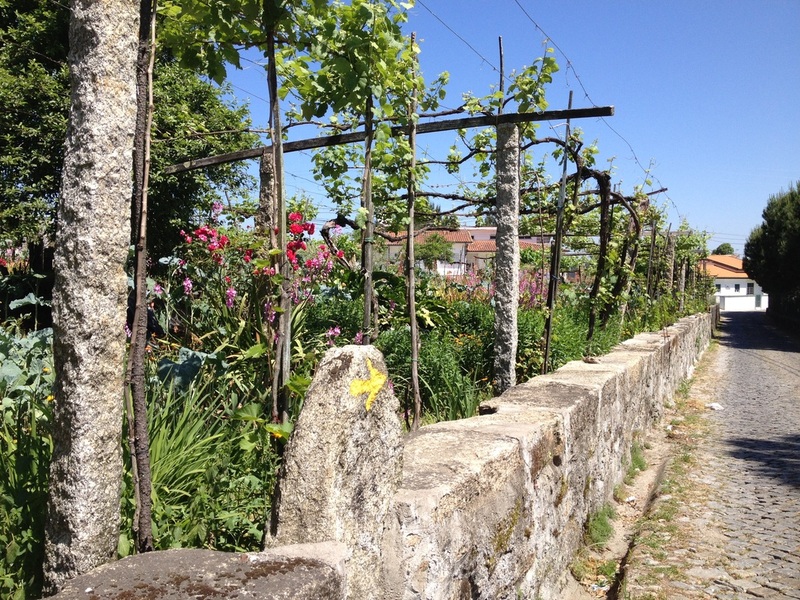 From Muxia we took 3 busses, arriving in Guimaraes to explore for a day before returning to Lisbon for the flight home. Our blog follows this trip and in this section we have reversed it so you can follow from the beginning to the end, rather than in blog order from the end backwards to the beginning. We decided in 2013 to volunteer as hospitaleros, instead of walking. 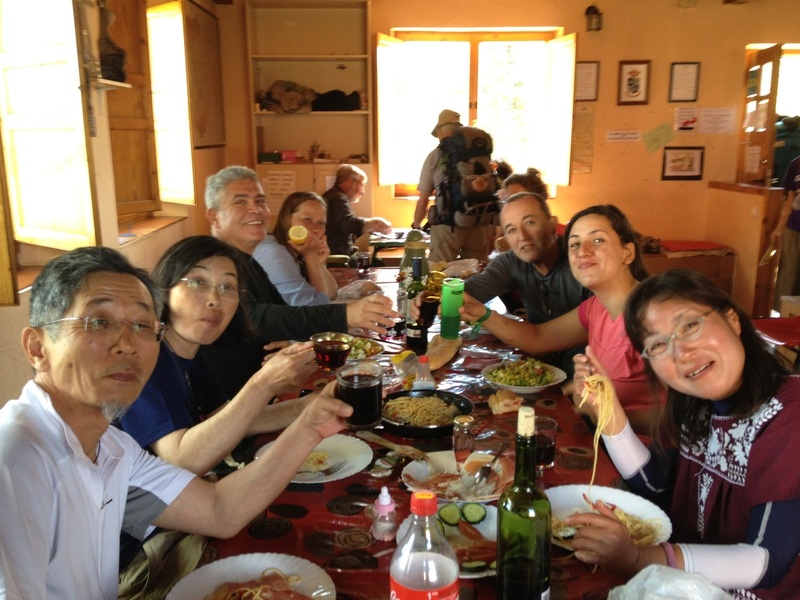 Then our daughter and her husband invited us to join them on their first Camino. Bingo. YES! We did both, the hospitalero assignment and the walk in cold, snowy, May 2013 from Astorga to Santiago. Posts about the Hospitalero Experience are here. We incorporated our Camino Frances experiences in 2013 into the section above.